Ewen and Phil met in the early 2000s, playing in the house band for Edinburgh Fringe’s “Late and Live” small hours comedy showcase. Despite the fact that the majority of worn-out punters were on their feet and out the door before a single chord could be struck, they became friends. 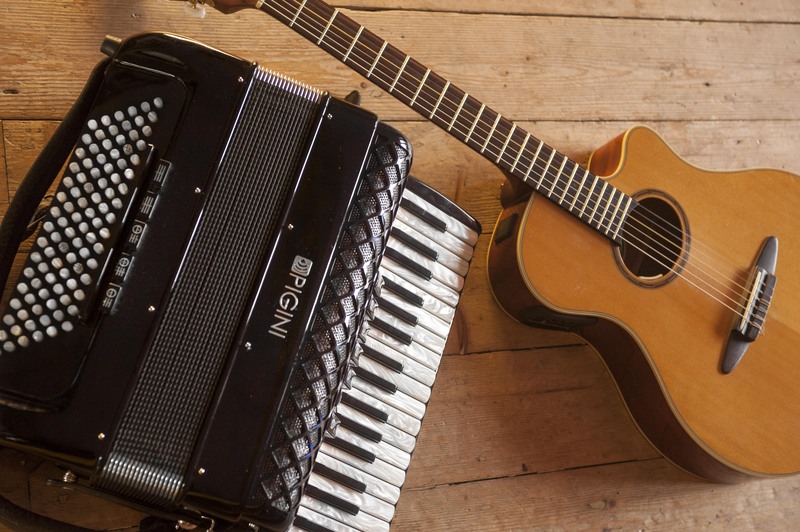 Over the next few years, the pair continued to collide accidentally in random musical combinations, until – several relocations and three children (not with each other) later – they decided to take things into their own hands and form a duo. Not quite jazz, not quite folk (and definitely not jazz-folk), the music of Alexander and Maclean gives Phil and Ewen a chance to explore the stripped-down melodic and harmonic possibilities of their own compositions. It is a rich acoustic mix that takes in swinging waltzes, soulful ballads, Balkan-tinged dances, angular jigs and breakneck reels. The duo’s beautifully unpredictable tunes and intriguing arrangements also leave plenty of room for the heat and excitement of improvisation. 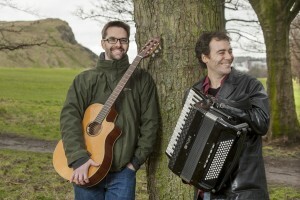 Both musicians are a regular part of Edinburgh’s diverse musical community. A longtime former member of Salsa Celtica, Phil plays regularly with Mr McFall’s Chamber and Eliza Carthy. His own world/folk band Moishe’s Bagel was also recently commissioned to write, record and tour a new score for the Soviet silent film “Salt for Svanetia”. Ewen’s time spent in Brazil and Mexico has left him with a passion for latin music, including work with Orchestra Dynamita and his own band the Latin Quarter Five. He currently leads jazz supergroup Algorhythmical.